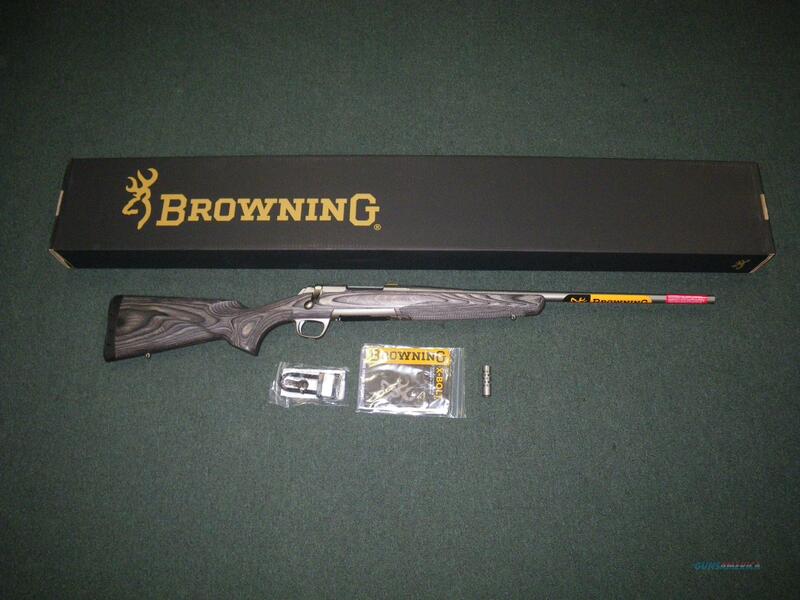 Description: You are bidding on a new Browning X-Bolt All Weather in 300 Win Mag with a 26" Threaded barrel. This is an X-Bolt sporting a weathered looking satin finish gray laminate stock with checkered grips, sling swivel studs, matte stainless barrel with threaded muzzle brake and thread protector included. As with all X-Bolt rifles, you will enjoy the 60° bolt lift for easy brass ejection and reloading while keeping your eye on the target. It includes an adjustable feather trigger, glass bedding, sturdy detachable rotary magazine, top-tang safety and bolt unlock button for added safety. Displayed images are stock photos. Any questions please feel free to ask (our phone number is in the additional information tab above).